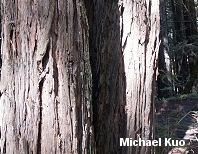 Trees reaching 300 feet or more; flat needles; bark reddish, deeply furrowed; growing in coastal California's "fog belt." 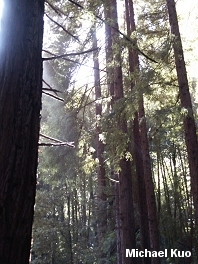 Habitat: Dominating the "fog belt" of coastal California; in pure stands or mixed with other conifers or hardwoods. Stature: The tallest tree in the world (though not the most massive, which is the Giant Sequoia), typically 200-275 feet high but often over 300 feet high; to 12 feet in diameter; narrowly conical; very straight. 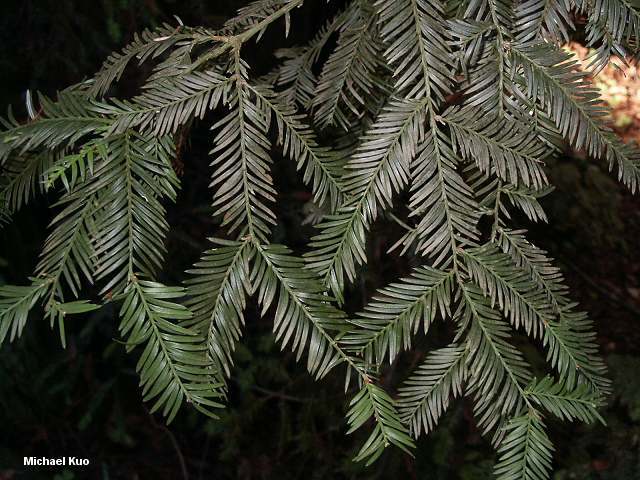 Needles: To 1 inch long; dark yellowish green; flattened; appearing paired. 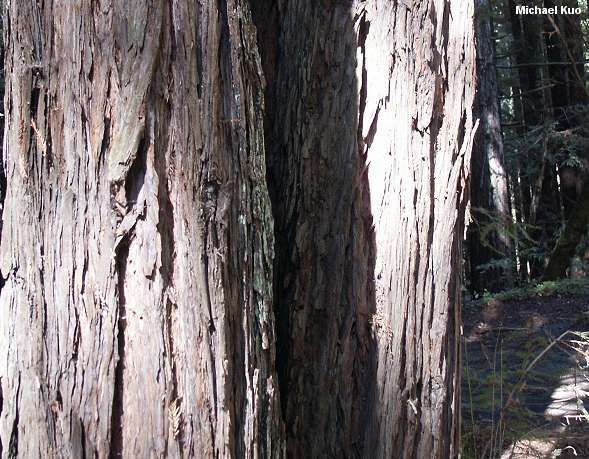 Bark: 6-12 inches thick; deeply furrowed; reddish brown. 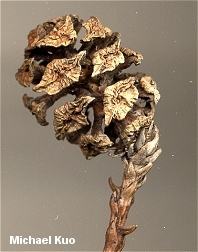 Cones: To 1 inch; scales shield-shaped; maturing in one season. Agaricus buckmacadooi; Boletus zelleri; Caulorhiza umbonata; Gliophorus species 01; Hygrocybe species; Leucopaxillus albissimus; Mycena species, including Mycena fusco-occula; and others.